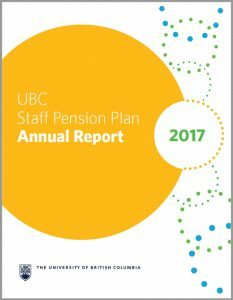 The Staff Pension Plan 2017 Annual Report is online. The report includes a Message from the Chair and Executive Director, highlights for the Plan, membership and administration statistics, a review of the Plan’s funds and investment performance, FAQs, and information about how to access your pension information online. View the 2017 Annual Report.